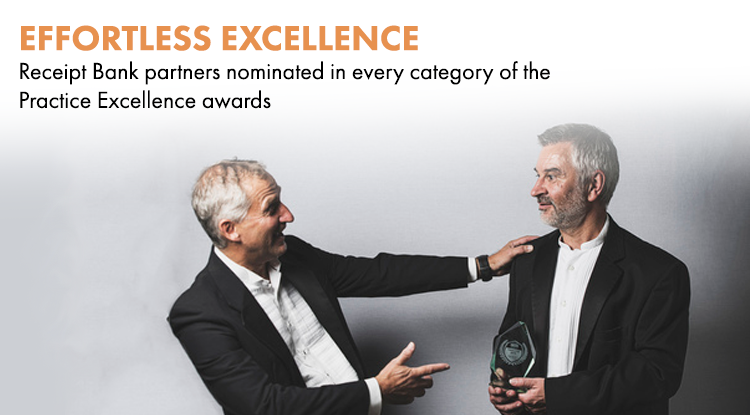 AccountingWEB’s Practice Excellence week is fast approaching, as is the much-anticipated awards ceremony on 19th October. Among the firms nominated for the Practice Excellence awards, we are delighted to see the names of so many of our partners. In fact, we have at least one partner nominated in every single category – what a result! “I think my success came from something beyond just offering clients cloud services. I run the practice based on reverse engineering what my clients want from an accountant and what they hope to achieve as a business. “We believe in our customer focus first and foremost, making their lives as pain-free as possible and with tools like Xero and Receipt Bank, it helps to speed up our ability to help clients and keep data entry down to a minimum. “We use tech to make their lives more efficient and easier. This does mean learning the main products inside out - like Receipt Bank. “This is wonderful confirmation that we are truly doing something different and are giving our clients the best business advice out there. To achieve practice excellence, we have been refining our service and now have a superb balance of customer service, people development and suite of top quality products and tools. “Its fantastic to receive recognition for our team’s hard work and growth to date, our cloud based strategy, coupled with excellent customer service, passion for continuous process improvement and faith in talented young graduates and school leavers is really working for us. We couldn't be more delighted to be shortlisted!" “At Evans & Partners, our mission is to help clients love running their business and still have a life. One of the ways we achieve this is by offering advisory services as standard so that clients are able to see the latest financial status of their business and plan for the future, rather than rely on out-of-date financial data and constantly play catch-up. Outstanding client service is a mantra at Evans & Partners. Uniquely, we have a Client Service Manager and Client Service team responsible for building and maintaining client relationships and ensuring an efficient and friendly service. The use of leading technology and the key focus on nurturing client relationships has led to a very successful year for Evans & Partners with new business levels doubling month on month." “I believe we have made the shortlist because we were able demonstrate genuine technical expertise allied to great levels of client service. Our success in this area is very much down to our whole academy team across the firm who put themselves out to stay up-to-date with developments in the sector and ensure that these are communicated pro-actively to our academy clients. “We are incredibly proud of our expert team, and it is testament to the dedication of our Tech Sector Specialists that we have been shortlisted for this Practice Excellence award. “We have a reputation as a risk-taking and innovative firm; adopting new technologies and approaches to ensure a better customer experience. But with the rest of the profession starting to catch up, we're finding more ways to disrupt our market. Innovation is business as usual for The Accountancy Cloud, so it is measured as part of overall success; not separate initiative. It’s important for our clients to know that our apps can scale to meet customer demand, even on the busiest days of the month! Whilst our company culture is evolving; we embody an entrepreneurial culture and have a niche strategy focusing on working with tech start-ups so for us, recognition for Innovation Firm of the Year enhances our positioning in the market as the go-to partner for the technology sector." “We are very pleased to have been recognised as one the UK's pioneers in our profession. 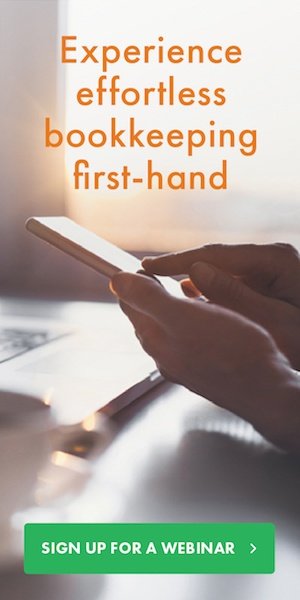 The use of technology has changed immensely since I started my first practice and I could see that the profession was about to go through some major changes and I wasn't wrong. “Our clients are at the forefront of everything we do. Referrals account for over 60% of our new business, therefore we invest a lot of time and effort into making sure our existing clients are receiving the best service possible. Working as a team is imperative. Together, we agree on how to resource the companies growth, how to build initial budgets and the creation of new marketing strategies. Congratulations to all the nominees! It goes to show what's possible when you take the time you used to spend on data entry and chasing items and put it into your client relationships. We wish all of you good luck for the awards – you’re all winners in our eyes!